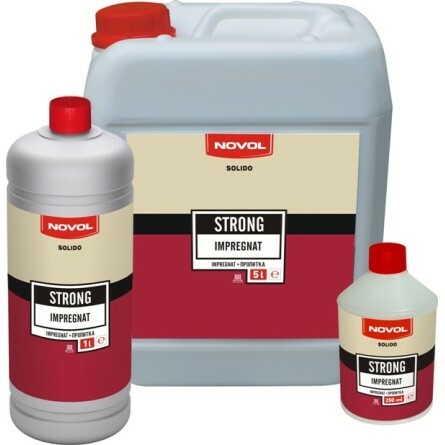 Impregnant for stone surfaces NOVOL - Packaging 0.2 liters (enough for approx. 2 m2). Watery substance, permanently securing a stone surface prior to absorption of water, oil, wine, etc.. 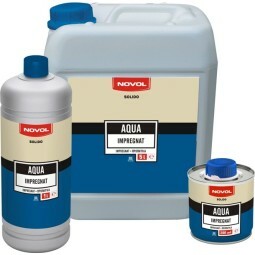 Suitable for all types of stone, such as: granite, marble, sandstone or slate. Impregnation is based on modern technology, which enabled to use Teflon. Impregnation does not change the color of the surface of stone, it does not create or alter the luster of the stone. It is vapor permeable, allowing to "breathe" protected stone. One application results in stability of impregnation for many years. Preparation is frost-resistant , suitable for indoor and outdoor use. It can be also used for impregnation of stone paving.